Where in the world is South America? 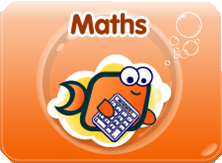 Click the link below to find out more about your child's learning this term. Use the helpful links below to help. Keep practising your timestables recall. Click the see-saw link below to gain intant access to your child's learning. Complete your Easter Booster SATs revision sheets. Click the link above to help you with your Spanish vocabulary. This will be sent out on a Friday and needs to be returned by the following Wednesday. and a list of spellings which need to be learnt for a test the following Friday. We would like to encourage children to read as much as possible at home.